This level has easy difficulty and you need to use good technique to complete this level. 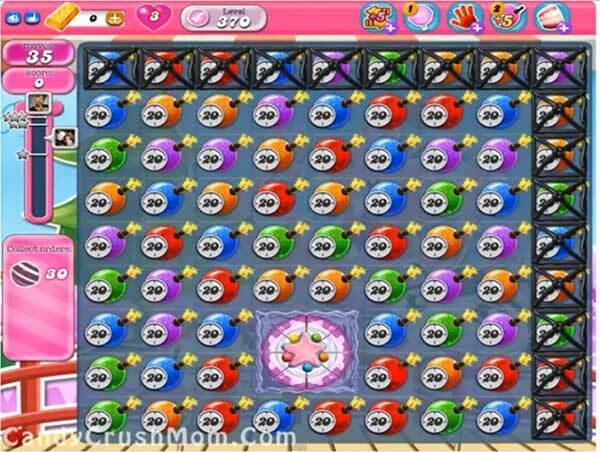 For this level you should try to break the grill and then try to make the colorbomb and striped candy. After make striped candy with colorbomb to make striped candy combo to easily complete the striped candy combo. Try not to worry of time bomb and complete the orders within 20 moves. We completed this level with 384320 score using the above strategy and got three star score at the end of the level.